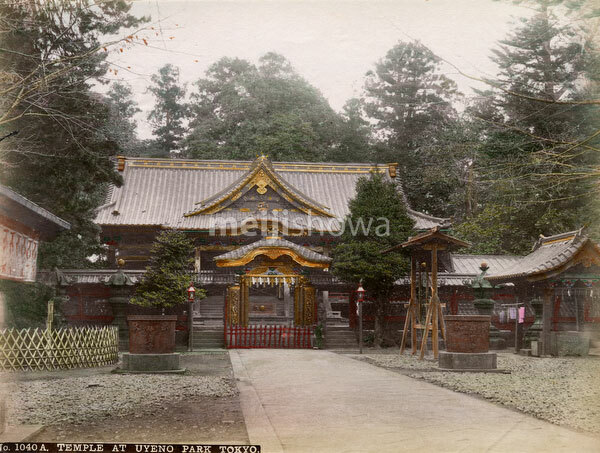 Ueno Tosho-gu Shrine (上野東照宮) in Ueno Park, Tokyo. It was built in 1627 to honor Tokugawa Ieyasu (徳川家康, 1543–1616), but Tokugawa Yoshimune (徳川吉宗, 1684– 1751), and Tokugawa Yoshinobu (徳川慶喜, 1837–1913) are also enshrined here. The current building dates from 1651.